With sales of its Miracle Whip on the decline, Kraft Heinz decided to produce a true mayonnaise product to go up against category leader Hellmann, made by Unilever. The two giants are up against rival products that are responding to changes in consumer tastes. In February 2018, Heinz Mayo debuted. It tasked agency Starcom with driving awareness and excitement. Starcom was well aware that, in general, people were not talking about mayonnaise of any kind. But, when someone in the UK tweeted a photo of Heinz Mayochup — a blend of mayonnaise and ketchup that was sold only in the Middle East — that they had seen in a Kuwaiti grocery, a debate began on whether to sell the product in the UK. 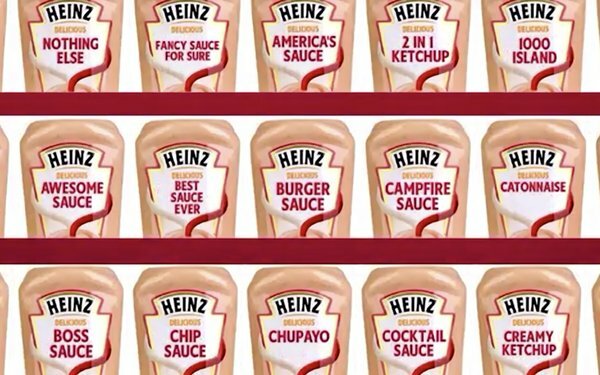 Starcom saw an opportunity to bring the debate Stateside and get people talking about Heinz Mayo. It promoted Heinz Mayochup sauce through Twitter’s then-new media-forward polling capability that was still in beta and asked for 500,000 yes votes to bring it to market. In just days, they had almost a million votes, with 55% saying yes, bring it on. The rest said they were happy to make it themselves. The poll’s engagement rate was over 9%, the top-voted media poll by an advertiser to date. Then Heinz announced that the sauce would come to the U.S. and Starcom retargeted people who had engaged with the brand on Twitter. They followed up with a debate about the name, with nominees like “tomayo” and “fry sauce,” and an interactive experience that designed containers with these different names, depending on user preferences. “Mayonnaise may not be newsworthy, but mix it with ketchup and people can’t stop talking about it,” said Starcom. In September, Heinz Mayochup sauce hit U.S. grocery shelves with an “As Seen on Twitter” call-out on in-store displays. Ninety-two varieties of naming suggestions from Twitter users are available to order online. TV personalities including Ellen DeGeneres, Jimmy Kimmel, Bill Maher and Chuck Todd talked about it on air. It was reported in scores of publications and TV outlets, including the Independent, Esquire, the New York Post and Fox News. It got 2.3 billion earned impressions. There was a 28% lift in awareness for Heinz Mayonnaise. Monitor your social media channels constantly. Recognize an opportunity, even if it is outside the U.S.
Use a different product to promote a new product. Recognize the power of crowdsourcing product development.